Cozens was signed on June 7, 2012 after being selected in the second round of the 2012 Amateur Draft with the 77th overall pick. He was a multi-sport athlete in high school and had accepted a football scholarship to Arizona University after playing only one year of high school football. 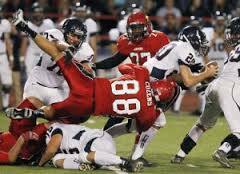 He collected 7 sacks as a defensive end for his state champion team. Cozens hit for a career high .282 in Clearwater in 2015 before his eye-popping, small sample slash at Reading – .350/.368/.625/.1.011. Cozens plays both corner outfield positions well with a good arm. He registered 5 assists last season. He led the Threshers with 18 steals in 23 attempts. However, his power drain at Clearwater is alarming. He went from 16 HR at Lakewood in 2014 to 5 HR in Clearwater. 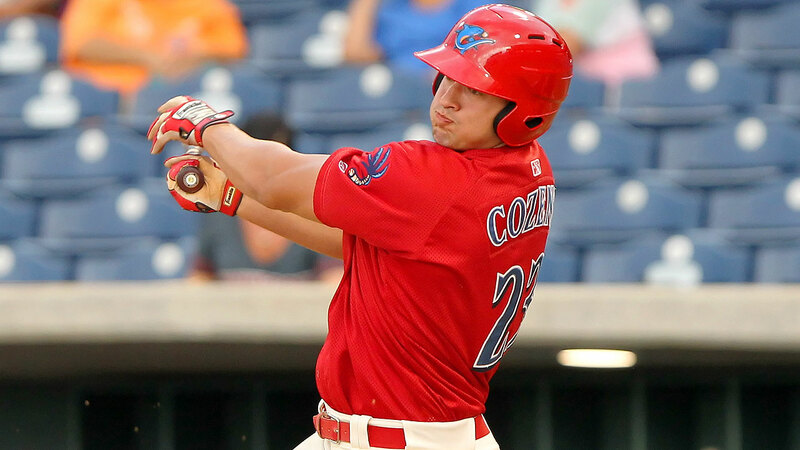 Cozens started the 2015 season batting .218/.255/.288 thru May 20th. From that point through August 25th, he improved to .282/.335/.411 which included 3 of his 5 home runs. I’ll not pretend that Cozens’ Reading line is sustainable, but I would like to see him continue to hit as well as he did at Clearwater with a little more power. I added several new names (Asher, Canelo, Cordero, Garcia, Leibrandt, Richy). Next up is your selection for #15. When is the run on pitchers going to happen? Only five of 14 first selections are pitchers; ironic, since that’s been the FO’s target over the last spell. 14 of the remaining 22 names on the ballot are pitchers, too. Selecting someone like Cozens or Tucci over Pivetta, Lively, Eshelman, Medina, etc. seems an injustice. Most of my actual votes have been to pitchers thus far. 2 weeks for Thompson, 3 for Kilome, 4 for Pinto, now 2 for Medina with Pivetta lined up right behind him. Reading is a great “old time” park. I’ve seen a few games over the years. Even with a stiff wind blowing in, sometimes a well hit ball will fly right out of the park. You don’t want to park too close the the outfield sections. Smashed windshields are in season when the games are being played. I don’t know that you should count Cozens as lighting it up at Reading. He played 11 games in AA. But they were 11 very good games. Not included in those officials stats are the 5 playoff games in which he also did very well. Reading is easily the best hitters’ park in the Phillies system. Of all the east coast minor leagues, the Eastern League appears to be the power hitting league. Perhaps this is because the bulk of the players are still up-and-coming and have reached the stage in their development when the power really shows, but I think there are just more hitters’ parks than in NYP, SAL, FSL, GSL and International League. I believe the only other leagues outside Phillies affiliates are the CAL or PCL, that have favorable hitters parks comparable to the EL. TEX league offense is also inflated, from my understanding. Yes forgot about that AA league. I have Tocci at #16 on my list. I have Lively and Pivetta ahead of him. Eshelman, Goeddel, Medina and Sweeney after him. We’re in the portion of our top 30, where one loud tool or two very good tools will get some votes. Tocci’s been around here forever and every once in a while he looks like his strength is coming on. If that happens, he’s a very good prospect and worthy of a top 10 slot. He’s the ideal candidate for, dare I say it, steroids, HGH and anything that could bulk him up. But losing 50 games right now could seriously stifle his progression. ps. No, I’m not advocating for artificial means of boosting ones weight or strength. I’m just saying that 10 years ago, that would have been the path. I’d just like to gently point out that last year, Tocci had a higher OPS than Cozens did during his season at Lakewood, at year younger in age. Which is fine, you guys are entitled to your opinion, but the notion that he has been surpassed by a guy like Cozens–whose shining moment to this point has been a dozen or so games in Reading, the park that made Darin Ruf and Matt Rizzotti look like the second coming of Harmon Killebrew–is kind hard to defend, in my view. I didn’t realize that you were the prospect guru. I play a fantasy baseball dynasty league and need to get some prospects who should I pick up? Pivetta is my choice for fifteen for the same reasons as yesterday. Tyler Goeddel is a 1st round pick who has played better and has better tools than a couple of guys already voted onto the list. Agreed I have Goeddel ahead of Tocci and Cozens. Also I have Medina ahead as probably the best lower level arm now that Kilome and Pinto are advancing. It is really hard to rank prospects in low A or below against those in higher levels. In the upper levels some are close to ML and one can speculate upon their arrival. Whereas the lower level its more of using your imagination of how they will do. Kilome and now Medina both have those pitches that you just say wow. There is this myth that Tyler Goeddel has played really well. He hasn’t. His minor league career OPS is .740. He was TB’s #17 prospect coming into last season. He was said by BA to project into average hit and average power tools with above average speed. I don’t see anything about him which says he should be in our top 15,; I think somewhere late teens is more appropriate. Goeddel has been a much better player than Cozens has over their careers. Some of Cozens power drain in 2015 @CLW, may have been due to that mid-June ankle sprain or whatever the lower body injury was at the time. But if I remember correctly every time he was asked how he was doing, his reply, was fine be back soon or this week., and he was out about 5/6 weeks or so. Tocci, Goeddel next for me, then a number of Pitchers to follow, in some order of the names that fritzerland mentioned..
matt13…think what Alexander posted yesterday….Goeddel is technically not in the Phillies farm system. He makes the team out of spring training or he is offered back to the Rays, and if they accept he goes back into their farm system. He may never ever play in the Phillies minor league system unless it is for a rehab assignment in 2016. This is the top 30 prospects list, not the top 30 people who have options to return to our farm system. That a specific prospect doesn’t have options can be taken into account, but really shouldn’t impact his value that much if he is deemed ready for MLB play. I mean Tocci was left unprotected this past year. If he has anything but a great year at Clearwater, he will likely be left unprotected again. By all accounts, Goeddel is not a prospect…if there were a 25Active in the off-season he would be on it….thus he is not a prospect. Not sure what you are getting out with leaving players unprotected and their prospect status….rights still belong to the Phillies org. But he’s never played a major league game. If he weren’t taken in the rule 5 draft he’d still be in the Rays system as a prospect. Nothing has changed for the player, only the situation around him has changed. As we make this list today, he’s a player in the Phillies organization with no major league experience. Even when the season starts, he’ll still be a “prospect” until he exhausts his rookie eligibility. This point shouldn’t even need to be argued. Of course he’s still a prospect. He’s no less a prospect than a minor leaguer who still has his eligibility, but makes the team out of spring training. My point is…in 10 weeks from now, he technically could be a Ray’s prospect again, though I do not see that happening with this current Phillies club. IMO, I just do not think he should be part of the prospect list. Romus, I see him on the list, so I assumed that Jim decided that he qualified as a prospect. I understand perfectly what you mean, but if we are supposed to consider him, then I have him in the top 20. If we aren’t supposed to consider him, I won’t. I’m voting Medina until he is selected. As for Tocci vs. Goeddel, I think MLB told us all we need to know about whom is more valuable. Both were available in the Rule V draft: Goeddel went first, Tocci didn’t get selected.I don’t think Tocci has that much more upside than Goeddel that his lack of proximity shouldn’t be a factor here. I would place two OF above Tocci at this point: Jhaylin Ortiz (extreme risk, but massive upside has way more value than the previous two), and Aaron Brown, who plays all three OF positions, has a big arm and big raw power, and quietly doubled his BB rate from rookie ball in Clearwater last year. I think we both know it’s not an apples-to-apples comparison. Lots of factors go into whether a player gets picked in Rule 5, the most important of which being whether a player has progressed enough to stick a whole season on an MLB roster. I hope you vote Daniel Stumpf before you think of Tirado. I mean Stumpf was taken and Tirado was not so that must be a no brainer. A vote for Stumpf is a vote for logic. No. That is not right. Stumpf has pitches at a higher level, that doesn’t mean he’s a better prospect. He was selected because he has a better chance to produce THIS year. There were probably 5 guys who were not selected, who were better prospects than everybody who was selected. So why do you think Goedell going number 1 makes him better than Tocci? If Sweeney was eligible I’m sure he would have been selected in the top 5 so does that make him better than Tocci? I’ve never said Goeddel is better than Tocci because he went #1. I said Sweeney is the same level prospect as Goeddel and said he would have been top 3 in the Rule 5, if left unprotected. I have Tocci and Goeddel back-to-back on my list, and both ahead of Cozens. I guess I used the term better improperly the phrase that was used was more valuable I replied to your post thinking you were the original poster however I see my mistake I apologize. Imo Tocci has the potential to be a mlb regular and potential occasional all star. I understand that he is far away from this outcome and has the potential to bottom out as a prospect but I like his potential. I understand people’s opinions that like other prospects more I just like Tocci. I wonder if Eshelman was our own draft pick, and the Phils gave him that bonus if he would rank higher. It is interesting that Appel got the shiny new toy treatment but Eshelman really isn’t if slips to the 20s. Also speaks to the volume of guys in this tier that he could slip this far. I like Medina here, because as stated previous by a bunch of guys his upside is really high. Agree. Its the complete opposite, how the board is voting for Appel and Eshelman. Appel was voted high because of his “name.” I doubt the people who follow the Astros system like we follow the Phillies would rank him so highly. Eshelman, conversely, would probably have made the Astros fans’ list already. Except that Appel and Eshelman’s tools are night and day. Eshelman will need to be perfect to be successful in the bigs. We have seen a number of low velocity/high control guys go through our system (Cloyd, Buchannan, Pettibone, Morgan come to mind ) in recent years, have success in the minors and then get lit up in the bigs where the margin of error with lesser stuff/velocity is almost zero. I don’t think he meant Appel should have been lower than Eshelman. Just that Appel was ranked higher than he thought, and Eshelman lower than he thought. Like expecting Appel around 7 and Eshelman around 15. Right, sorry if I wasn’t clear. Not true. Appel was the Astros #2 ranked prospect coming into last season. Most national rankers put him in our current top 10. Eshelman was a 2nd round pick in the past draft, who has pitched all of 10 innings to not great stats. So, until he shows otherwise, he may just be Imhof. Just kidding. I was majorly disappointed by him last year. There are two types of shiny new toys and some have flashing lights and bells and whistles and wireless remotes that let you control them all over the yard. 1) I had heard someone on this site say that power numbers usually drop from Lakewood to Clearwater, and then go up in Reading. Care to comment on that? 2) In reference to your hope for him; I agree that his line during Reading was at the peak of a hot streak which sounds like he was continuing from Clearwater, but his year average of .286 I’m hoping is sustainable with some peaks and valleys of course. Also he had about 100 less at bats than he did the previous year. Did he get hurt and spend some time in GCL? Lastly, I know from being from this area I could not generate as much power being in that heat and humidity all spring and summer. I sometimes wonder how environment effects someone like Cozens who is from AZ and played his college ball there. To go from dry and hot to heat and humidity…..
From what I understand, Lakewood is very difficult to hit home runs at. I don’t remember if it was him or somebody else, but there was a player who hit over 10 away as a Blueclaw, but only a couple at home. Without going all SABR on you, the historical data I found on minor league park factors indicates that Clearwater has a more favorable hitter’s park than Lakewood. Matt Eddy (Baseball America) compiled data from 2010-2012 in a 2013 article that states as much. A list of park factors published by Minor League Central for all minor league parks from 2014 also indicates that Clearwater has the more favorable hitting environment. However, statistics can represent many things. MiLB published an article in 2013 that shows that the Florida State League was the most difficult league for run production during 2008-2012. My concern regarding Cozens’ power was that he hit 16 HR in 509 AB in Lakewood and only 5 HR in 365 AB at Clearwater. That’s a drop in HR/AB from 1/31.8 to 1/73. However, I guess that drop off is mitigated by his nearly identical SLG of .415 at Lakewood and .411 at Clearwater. Cozens suffered a leg injury before the Daytona series that the Threshers swept to capture the first half championship. He missed a month and returned after 4 GCL games. Cozens didn’t play college ball, he was drafted out of high school. Jim I read yrs ago that the Florida leagues are harder to hit hr at , because of there size. Also doubles hit there become home runs later in a players career. It Seems the Phillies have to hitters parks above SS Reading, CBP. It’s about time, Cozens should have been in the top 5. Top 5 what’s your logic behind that? If there was a logical rational, you would have seen it by now. There is none. Interesting how Cordero is getting votes but not Tirado. Wasn’t Tirado the main piece in that trade? Cordero seemed to open some eyes post-trade. He showed a better slider than what was in the scouting reports from earlier in the season and he lowered his BBs too. Medina for me, again. He has a much higher upside in my opinion. Medina here to too then Tyler , then Grullon , Pivetta , 1 of my Sleepers Felix Paulino, Sweeney, Cozens, Tocci, I have 1 breakout in Kingery 2 Sleepers in Paulino and Herlis Rodriguez. Players like Ortiz and Eshelman there just isn’t enough to go on. Places like Pujols your waiting for the full season yr . Austin Davis too like to see what he does , Bird just off my 20 there’s about 10 pitchers – can put in 21 to 35 class . The problem with Herlis is that his bat plays well for a CF but he plays the corners. His bat won’t play there. Who said he was moving it’s depth, Herlis Rodriguez finally was given his chance and so far has proven he can play center. He had 22 assists in 98 games in lakewood. He was hitting over 300 most of the yr with solid power and stole 16 bases. This was in lakewood the worst place to hit if he can go well in Clearwater he could move . I’d like to see what he can do Quinn in AAA , Tocci or Rodriguez gets either AA or Clearwater. I think Herlis will play RF at Cwater with Tocci in CF and Sandberg in LF with Williams at LHV and Quinn to start in Reading. More love for Pivetta than expected here. Maybe we value players we traded for more than others already in the system. I voted for Pivetta because he seems to offer a good combination of relatively high floor with the potential for an even better ceiling. Most agree that his stuff is good enough that he could be a strong back-end-of-the bullpen guy if he can’t improve his control. That’s not a bad floor. And his ceiling is a #3 starter. Some of the other guys at this spot are riskier propositions–but I can understand voting for them if you value ceiling more. AAA – A rotation of Velasquez, Thompson, Appel, Eflin, and Morgan with a bullpen of Cordero, Windle, Roibal, Murray, Neris, Roberts, and Buchannan or Seve. That leaves out MAG, Vasquez, Burke, Mariot, Hinjosa, Hermann, and Leroux plus Frieri, Russell, and Mujica. AA – A rotation of Pinto, Pivetta, Lively, Richy, Liebrandt with a pen of Ramos, Tirado, Therien, Rivero, R. O’Sullivan, Leiter, Nunez, and Forsythe. That leaves out Joeley, Oviedo, Milner, Rios, Lino, and Joaquin. Rivero might go to A+ to start so I added an 8th reliever in case. There will definitely be quite a few major league arms from this pool in the next 2 years, both starting and in the pen.